Another stunning edition brought to you from the Amberly Collection. 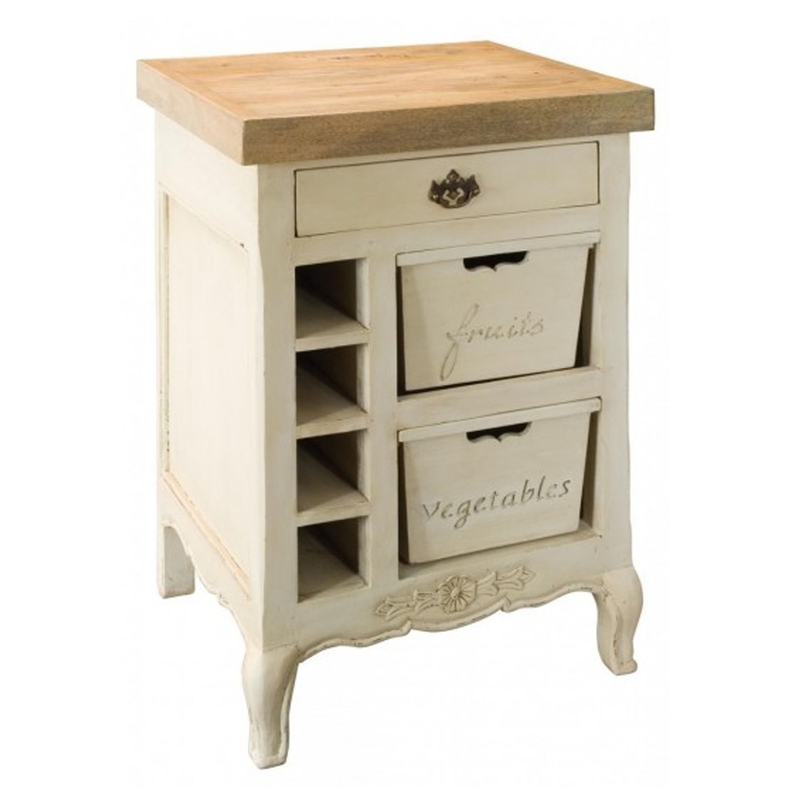 This Shabby Chic chopping block is very unique and has a gorgeous design to it. It has engraved drawers for "fruits" and "vegetables" and a lot of other available compartments for dining needs. This chopping block is insanely practical and looks stunning in the process.